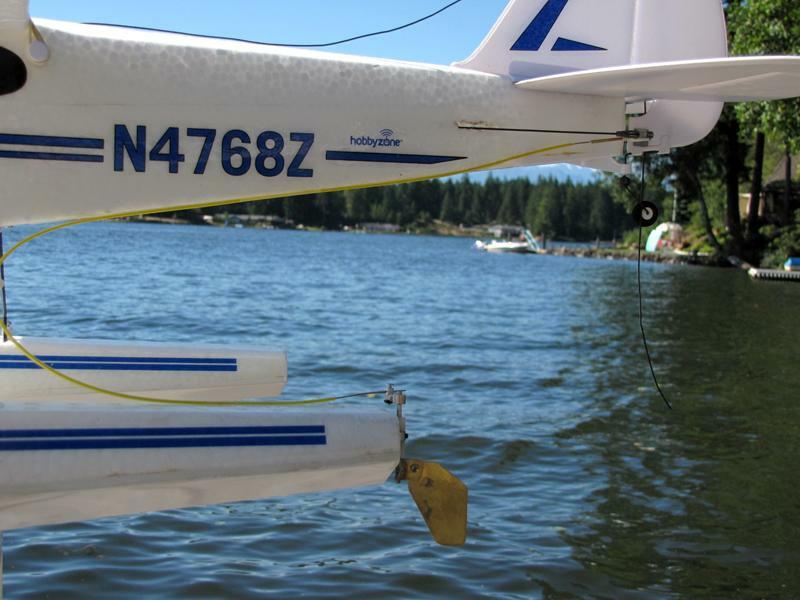 Does an RC float plane really need a water rudder? I suppose it's not absolutely necessary, but the first time your plane stubbornly refuses to come back to you on a less than calm day you'll sure which you'd installed one! Installing a rudder on just one of the floats makes a huge difference. Installing them on both floats is even better. On smaller lightweight float planes you can get away with putting an extension on your air rudder that extends down into the water. 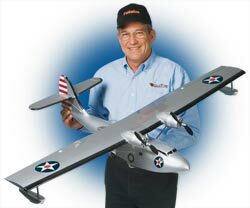 is designed specifically for a Hobby Zone's Super Cub LP. 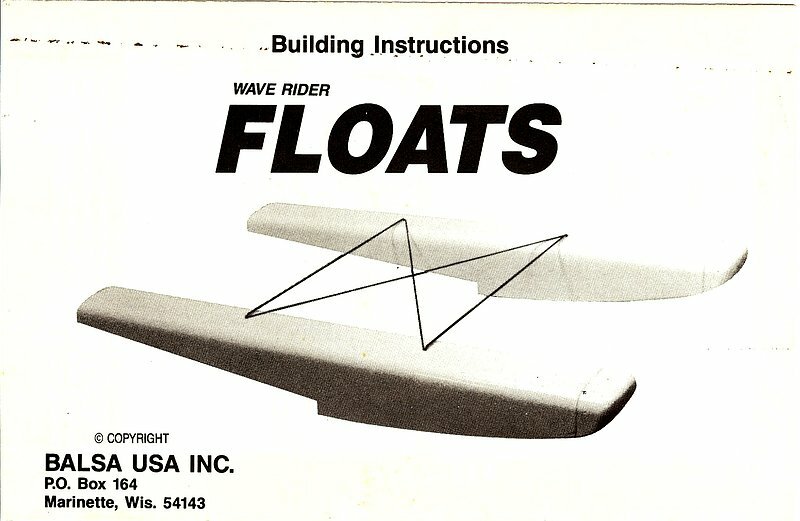 You can pick these up for a little of nothing, or it's easy enough to make one yourself if you have a small float plane. 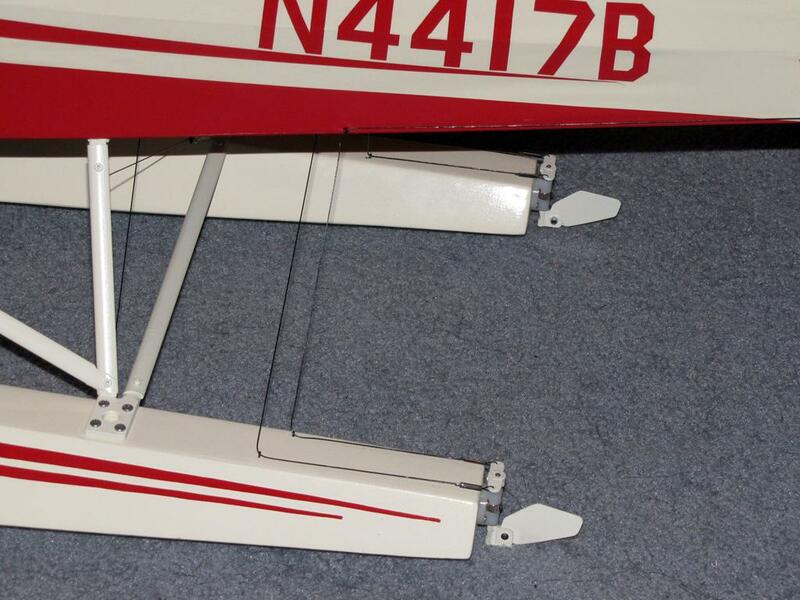 Most rudders are made to go on the floats themselves. They are usually hinged at the top and pivot up out of the water on the take off run. Although drag by a submerged rudder on our small model planes is minimal, a retractable rudder come in very handy when taxiing across shallow water where weeds like to stick up and grab your plane. A spring or rubber band is normally used to keep the rudder down while taxiing although it's not really needed in most cases.
. They're available in two different sizes. Just keep in mind that bigger is not always better. A rudder with too much authority can cause some big problems. Both water and air rudders of the plane must be synchronized for obvious reasons. If you're mechanically inclined, you can have lots of fun toying with different ideas for accomplishing this. 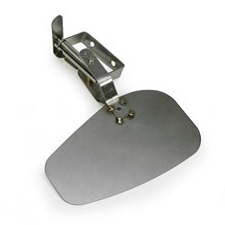 Here are some of the most common methods of setting up a rudders on your float plane. 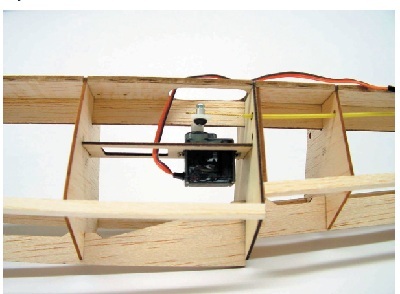 Some balsa wood floats are specifically designed for installing a dedicated servo inside the float and plugging it into the rudder channel of the receiver with a Y-harness. 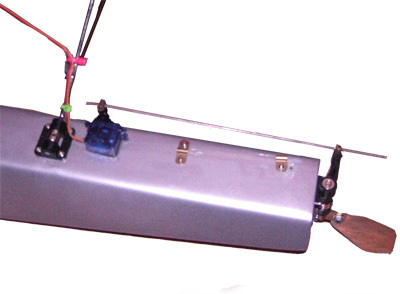 You can also simply attach a servo right to the top of your float. May not be the most "scale" look in the world, but it'll do the trick. While this method is fairly simple to set-up, there are some obvious drawbacks to consider. What happens when your servos get wet? What about the extra cost and weight of the additional servos? ran from the air rudder down to one of the float rudders is probably the quickest and easiest set-up. 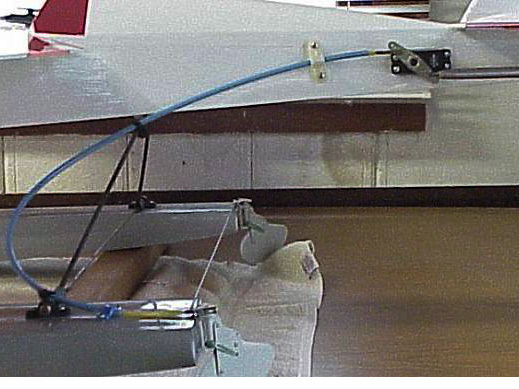 If you have a rudder on each float you can simply connect them together with a rigid control control rod. 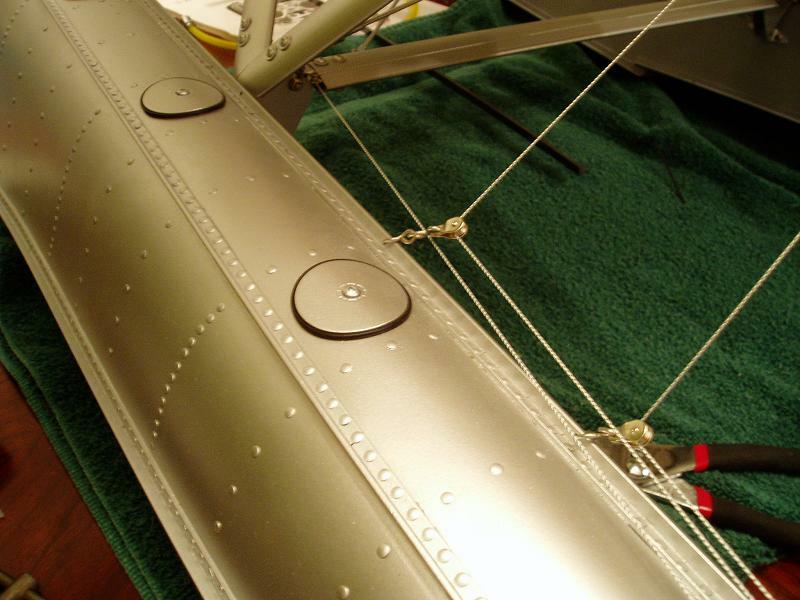 After many nights of sweat and tears building a scale version of your favorite float plane you're going to want the control system to look slick, just like the scale counterpart right? This is accomplished with simple pull-pull set up show below. The balance between functionality and cost is really up to you. The cheapest way is to run some braided fishing line through some home made eyelets. Eyelets can be as simple as large industrial staples, fish hook eyes, or even small u-bolt or eye-bolts from the local hardware store. Or the other end of the spectrum you can use real scale-like pulleys to guide your cables. 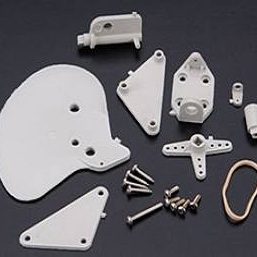 These tiny pulley blocks are made made for model boats and are perfect for this application. The pulleys you see above are made by Robbe. Procter Enterprise also makes some sharp little bock pulleys. Obviously water rudder selection and installation is only one small part of flying from the water. 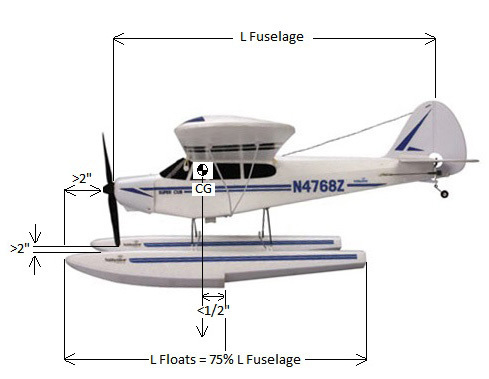 Check out the links below to learn about some other aspects of float planes including other types of amphibious RC aircraft.